In a land sculpted by glaciers, the forest is on fire. Thick smoke chokes the mountain air and casts a twilight glow over the imposing mountains and vistas of Montana’s Glacier National Park. When firefighters are called in to dig fuel line breaks near the small town bordering the park, a crewmember is shocked to unearth a shallow grave containing human remains. Park Police Officer Monty Harris is summoned to the site to conduct an excavation. But with a 2,500-degree incendiary monster threatening to barrel through the town and no forensic detective on hand, Monty must work outside protocol. So he seeks help from Gretchen Larson, the county’s lead crime scene investigator, and someone on whom Monty feels he can rely. The two are working against the clock to determine the true identity of the victim when a teenager suddenly disappears from one of the campgrounds in Glacier. Could the cases somehow be connected? As chances for recovery of the missing boy grow slimmer and the FBI finds only dead ends, Gretchen and Monty desperately race to fit all the pieces together in time. 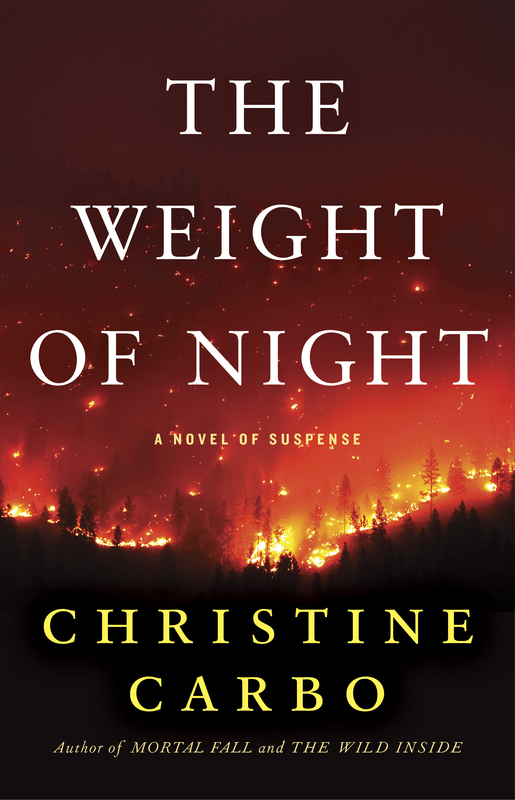 The Weight of Night is award-winning author Christine Carbo’s latest novel in a series which “paints a moving picture of complex, flawed people fighting to make their way in a wilderness where little is black or white” (Publishers Weekly). It is a gripping tribute to the power of redemption, set against one of America’s most majestic and unforgiving landscapes.